01. PhotoshootsCheck out the photo sessions and outtakes with Stephen taken by various professional photographers for magazines etc. 03. 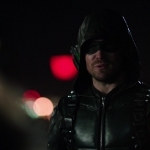 ProjectsMovie stills, promotional photos and screen captures of Stephen Amell's film and television projects, as well as images from other projects of Stephen's including campaigns. 05. CandidsPhotos of Stephen Amell out shopping, meeting friends, leaving or arriving at events or conventions. 06. Magazine ScansHere you will find scans from magazines all over the world featuring Stephen. 07. 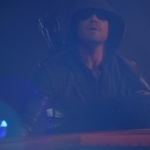 ArrowEpisode stills, promotional photos, on set, and screen captures from Stephen Amell's role as Oliver Queen / Arrow / Green Arrow in Arrow. 08. MiscellaneousSome photos just don't seem to fit any other category so here you will find social networking photos and any unknown photos. 08. Screen CapturesWhether it be TV shows or interviews, you can find the screencaps here.